This beautiful heart pendant is accentuated with swirls of sterling silver to make the reds and blues and greens pop when looked at. 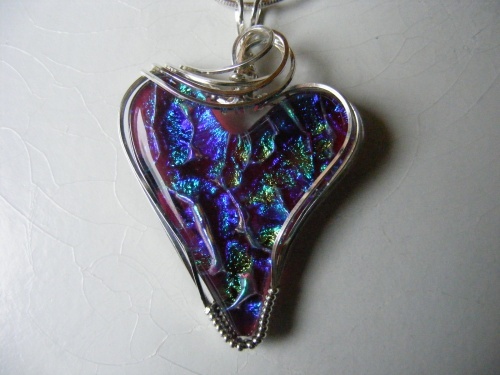 This pendant measures 2" in length and 1 1/4" wide and comes with a sterling silver chain. What better way to tell someone you love them or to just treat yourself.